I keep encouraging readers to engage on Twitter. Here's an example of why I feel think this is important. I connected with Tony Brown, ED of Heart of LA today, and he shared this Tweet, and video, with me. I love your map! That's it! I gave a Tedx talk a few years ago https://t.co/mF2Y5cCXmZ it only scratches the surface to what your map shows so beautifully. 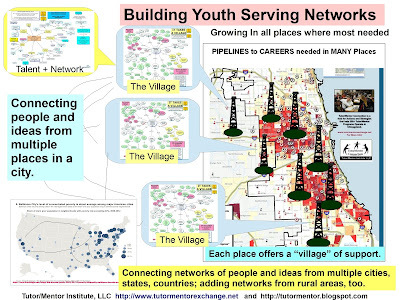 @HeartofLA 's map today is more reflective of your map as we've grown our impact, though many more connections to be made. If I did not use Twitter daily I would never have found this. As I listened to Tony many images from my articles came to mind. Here's one. 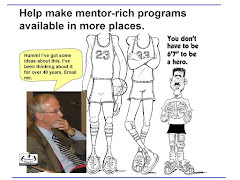 I focus on actions required to make mentor rich programs like Tony is describing available in more places. Those are not just what volunteers and non profit programs leaders do. They are what resource providers, business leaders and policy makers also need to do. See work interns have done. When I connect with people like Tony I invite them to browse my blogs and web site to see the ideas I've been sharing for the past 25 years. I know how frustrating this is, because there are so many ideas on my sites. 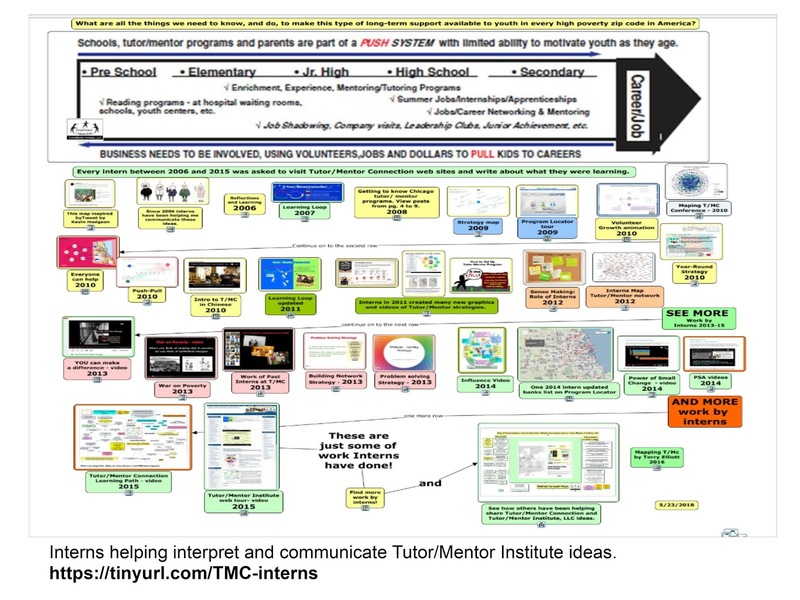 Thus, I point to work interns did with me between 2006 and 2015, which you can preview in this concept map. 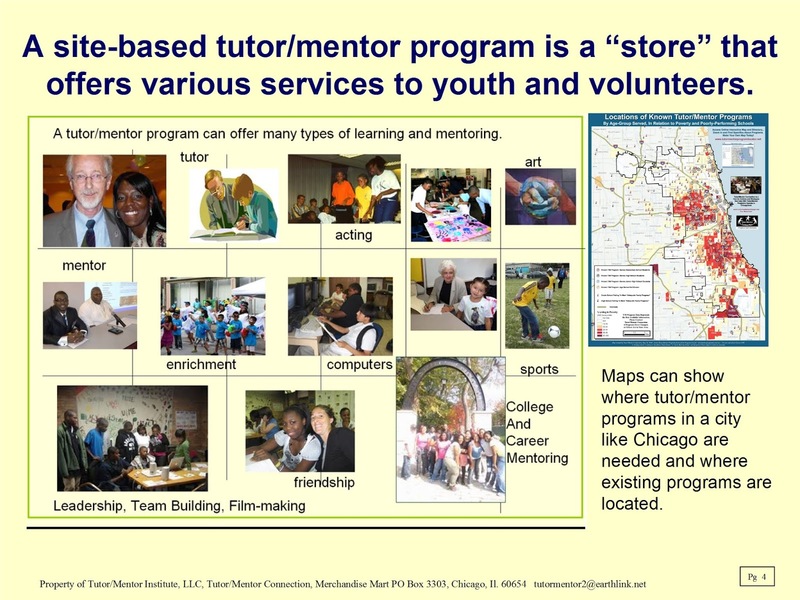 Tony and others can recruit students from local high schools, colleges and youth programs to dig into my ideas, then share what they are learning and how those ideas can be applied in LA, Philadelphia, Houston, Detroit, London or any other city, just as interns working with me have done. I have been sharing these ideas with the goal of becoming a consultant and partner with people who are trying to help youth support systems form in different places. 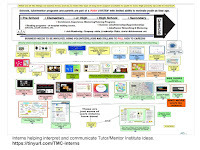 If you'd like my help please connect with me at @tutormentorteam on Twitter or post a comment here. Election Day. I Voted. More Work Ahead.